When looking for ways to easily and more inexpensively update a tile surface, many homeowners consider painting the tile. This is a guide about painting ceramic tile. I have shiny white bathroom tile. Everyone I have talked to tells me to sand it for better adhesion. I have even tried 60 grit sandpaper and cannot get it to become rough! Why? I spoke to a professional painter about this before I did it years ago. He sent me to my local paint center and they agreed with what he told me. I had to treat the tile first with an acid type of cleaner and then paint it. I had great luck with it and the paint held very well. Just get help from a pro at you local paint center first. It does not take too much time. Do in a very well ventilated area. I need to know how to paint on a ceramic tile. I am tiling a back-splash behind our stove and want to add some decorative tiles, but need to know how to paint a design on the ceramic tile that will be washable and not come off. Do I need special paints? Do I put the tile in the oven after painting to set the paint? Please help! There is no paint that you can put on ceramic tile that will not come off. You can use a craft paint to paint a nice design, but it will not stand up to cleaning that you would do in a kitchen. You can paint over tiles (I have some in my bathroom that have been done. ), but you run the risk of the paint peeling off. The former owners painted over mine, and it has stuck to about 2/3 of the tiles, but peels like crazy off of the rest. I have no idea why. A small residue of oil or whatever on some, is my best guess. Now, if you want to glaze these tiles, that can be done, but you need a kiln to do that. I have reglazed commercial tiles with a high fire glaze. It mixed with the original glaze, and was quite lovely. I broke these up and used them in a mosaic table. However, if you are not familiar with glazes, pottery, and ceramics, this is not something you can do at home. You could go to a places that sells ceramic greenware and glazes and see if they can help you out. A place like that will have a kiln, but of course they will charge you to fire your tiles. You cannot fire pottery or glazes in an oven. An oven heats to about 500 degrees. A pottery kiln heats to 2000 or so. Can you paint over existing ceramic tiles, one that is already painted by the manufactures. 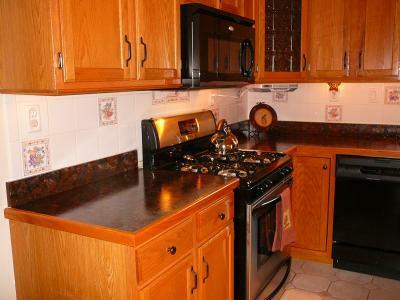 There is nothing wrong with backsplash in the kitchen, the tiles that are painted don't match the colour scheme. I would like to know if I could paint over them? The design, is to try to make it brighter. They sell a primer to paint the tiles so you can paint them and seal them to suit what ever your kitchen decor is. I have a tile bathroom color from 1968 and it is green. I want to spray it with porcelain paint to change the color. I want to know how to do this. DYI did this to a bathroom that was built in 1901. Can you tell me how, materials, and cost? Here are some links to help your do it yourself job and after viewing these, you are well on your way. I would like step by step instructions on painting the ceramic tile around my bathtub and around my kitchen walls. Thanks. First can you paint stone looking tile and second can it be done for a shower? I have a tile countertop, are there any suggestions on painting? Can you paint it? The grout has had it and I can't afford a new one. Thanks. Is there a method of filling in a grouted tile counter and then faux painting it? Can oil paint from a tube be mixed with white epoxy in a kit for bathroom tiles to add color? The instructions say to use universal type tints; I am not sure what that is. Has anyone had success in painting tile countertops? I have the ugliest island with the weirdest shade of blue tile in my kitchen. When we moved in the colors were wrong, and when we re-did our kitchen, not a lot, the colors are still wrong. I recently got the idea that I can paint or craftily change the tiles to match my granite kitchen countertops with a dapple of the different. I am not crafty so I need a lot of help. 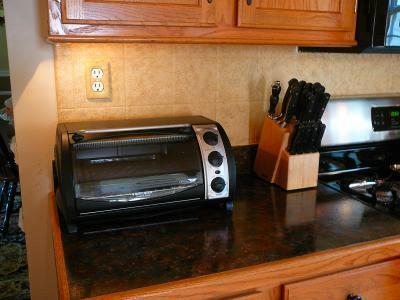 Our granite counter tops have black, terracotta, a bit of silverish color, and dark gray. I'm doing my accent colors of the rest of the kitchen in terracotta and an shade of yellow that is not sunny, but more subdued; think Italian villa-ish. The tile size is about 3 x 3. Can anyone help me please? I would prefer painting them not a solid color, but will take any advice. If I can't paint colors to match the granite, maybe I can paint them solid. Maybe that would be best? Remember, I'm no artist or crafter, but would like a simple solution. Surely one of you has painted tile before. I know you won't let me down. Thanks so much. Thank you so much for your information and ideas; I had no idea that there would be so much to do before painting. 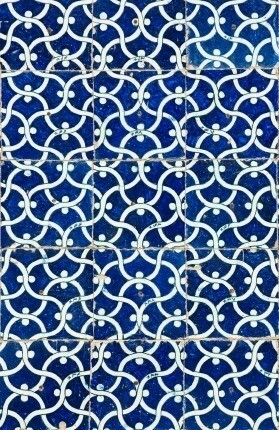 But I neglected one part; I want to paint the blue tile in different colors, to try to blend in my granite tile counters. The granite is black, silver, terracotta basically. Would I have to dab each color on? Do I have to wait until the color dries before I use the next color? I would like to paint the back splash of my kitchen counter. It is in good condition but there are tiles that have a slight elevated flower design on them. Can I still paint the tiles? Thank You. Pam, I just did this very thing! My original back-splash was white ceramic tiles which had a colorful and raised flower design on several of them. All the tiles were in good condition so I figured I would just paint them. First, I cleaned the tiles with warm water and a household cleaner, then I roughed up the tiles with 220 grit sandpaper. After sanding, I wiped down the back-splash with a tack cloth to remove all dust and fine particles. Next, I primed the tiles and grout with an oil-based primer (Kilz) and let dry. Then I purchased a base color from a big box store (enamel paint) and painted the tiles and grout (didn't feel like taping the grout). The color I decided on for the base was called pebble walk. Then, to add dimension, I lightly sponged a camel color acrylic craft paint onto the tiles. This second color added with a sea sponge really hid the raised flower design on the tiles. Has anyone ever painted the tiles in their bathroom with good success? I have a shower floor that really needs work as well as some wall trim. How do I clean my sink ceramic tile? Can I paint it?